When your senior family member has to move, there are many things to consider. Moving for seniors can be very stressful. Just imaging they’ve lived in their home for 50+ years, you can’t just show up and get it all done in one day. 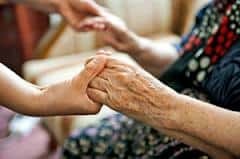 Patience and planning are needed, there are several things that can be done to make the move less stressful on your loved one. 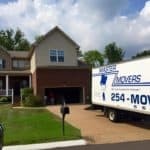 You may even consider hiring a senior moving manager, these companies specialize not just in the move but the emotional impact of it. Plan Ahead Taking the time to plan ahead gives them a chance to get used to the idea without getting overwhelmed. Help them sort their items. You should leave as much of the decision making as possible up to them, and when necessary suggest ideas to make those decisions easier. Divide items by donation, storage, new home, and maybe giving some items to other family members. It is important for them to know what is going to happen to their items when they move. Visit the new home as a family, and visit often. This will help familiarize them with their new home. If there are group activities stop in and meet some of the other residents so they can make friends ahead of time. This may give them something to look forward to. Take pictures of the new home, this will help them plan ahead on what to take and how to decorate. One of the most important things to remember when an older parent moves to a new living arrangement is to make sure they have things that are meaningful. It’s not just important to have mementos but something that is meaningful for them. Some objects are so precious because of their ties to the past — clothes of a deceased spouse and other intimate items. 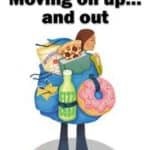 When you are moving a senior you become packer, mover, decorator and counselor, they have lived their whole lives doing for others and it’s good to slow down and take the time they need to get it done their way. They deserve it, we are here to help.